NJyachtcharters – Superyachts News, Luxury Yachts, Charter & Yachts for Sale. Bio: Luxury high level crewed yacht charter company, with the finest yachts and crews avaiable in every worldwide yacht charter destination. Offering both motor yachts and sailing yachts in all size ranges. A premier yacht charter company worldwide for over 50 years. We carefully research every yacht and crew available for charter to give the best recommendations and full information for your charter choice. We travel constantly worldwide inspecting yachts, and seeing the cruising areas, checking on hotels, restaurants, historical sites and other aspects of the cruising area that you don't want to miss during your charter. 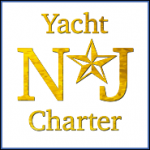 We have written a number of destination and other charter information articles for additional charter information that can be found online on our website blog page http://www.njcharters.com/nj_charters_blog/.